Do you know what hotels are saying about your meeting? This Monday’s Zmail is the first of a series that focuses on how hotels value your meeting – beyond the obvious stuff that you’re thinking about (like rate, dates, and space; you get the idea). 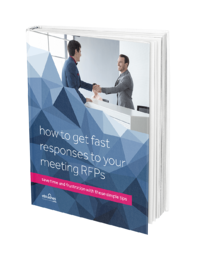 We’ll let you in on some tips you can use to ensure your meeting is highly valued by hotels. With a high valuation, you unlock the secret vault filled with additional concessions (free stuff like sleeping room upgrades, discounts, etc. ), lower rates, and just plain easier negotiations. And get this – hotels want you to unlock the secret vault! Finding the key to the vault means knowing a bit about how hotels value your meeting and what questions you can ask that help you uncover those value points. More importantly, you should be prepared to act on the answers. It’s in these answers that you’ll find the key to the vault. This concept was actually invented by the airlines. There are very slick algorithms that take many variables into account to spit out a price for a ticket. In the simplest terms, the airlines realized that when you book has a lot to do with how much you’re willing to pay. So they maximize their revenue by pricing tickets higher as the time to departure gets closer. Not exactly good for my procrastination habit, but great for them. The hotel side is just as scientific for individual travel – but less so for meetings, because there are so many variables that can’t be put on a spreadsheet. That means good ol’ gut checks and conversations are needed to finalize how, when, and at what price a meeting will be confirmed. 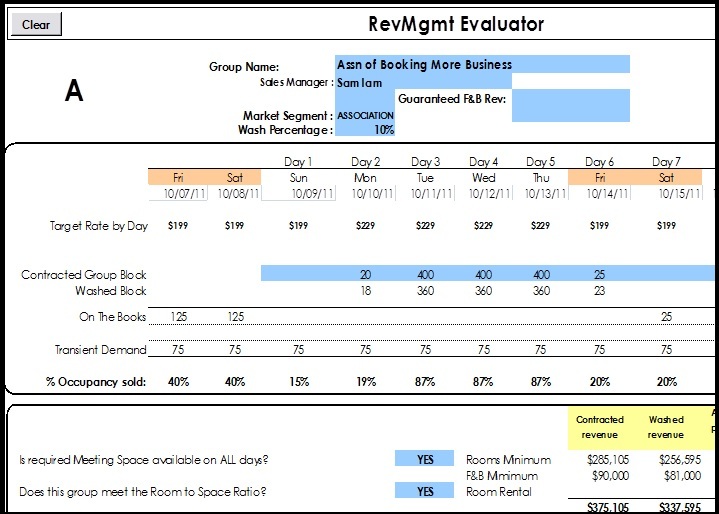 In most cases, all conversations at a hotel start with a document that shows your meeting profile and how it affects profit centers in the hotel. We’ll call this the RevMax form. 3. And lastly, how to affect your deal even after the contract is signed. Knowing how hotels value your business helps you focus on those key elements in your meeting that mean the most to hotels. Doing so translates into far more value and smoother negotiations.